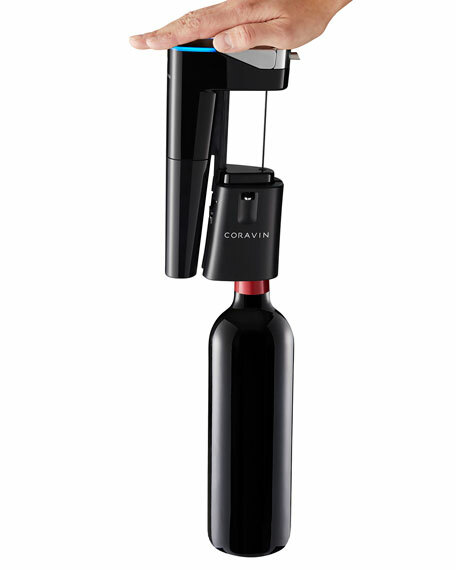 Coravin Model Eleven is the latest addition to the Coravin familythe first Bluetooth® connected and fully automatic Wine Preservation System. 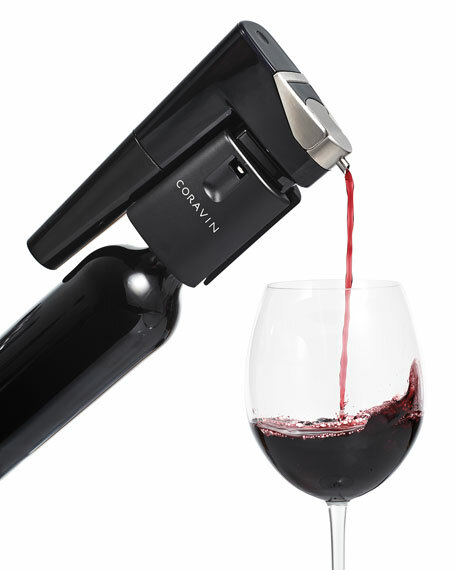 Simply insert the Needle through the cork, tip the bottle, and automatically pour your wine. 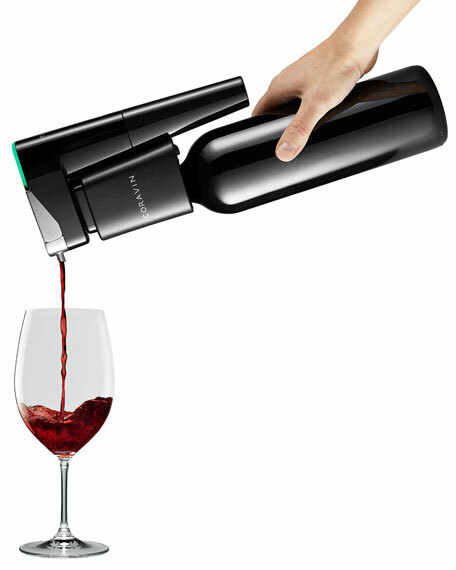 System included: aerator, base, carry case, and screw caps. 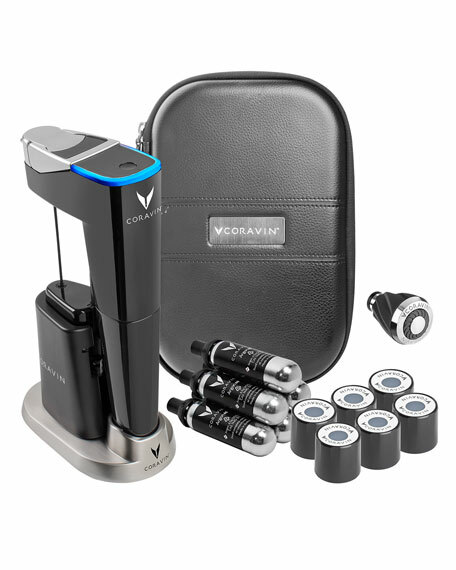 Injection molded plastic, stainless steel, synthetic elastomers, zinc, silicone, and PVDC. 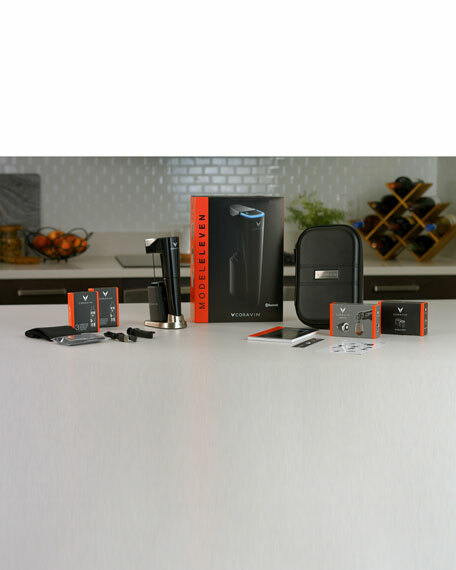 3.625"W x 2.25"D x 8.25"T.